VAAS Industries is a business with a proud 30 year tradition of experience and innovation, manufacturing, designing and testing a range of knife gate valves and pneumatic cylinders that is second to none in the world, and has some of the most modern machinery and CAD design facilities available. 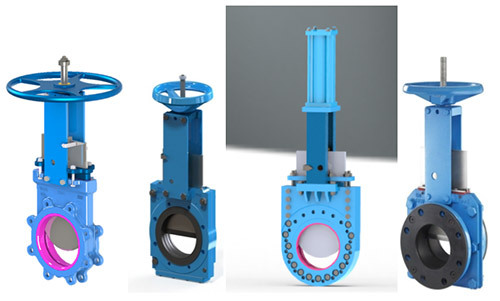 First starting with a Joint venture with a reputable North American company in 1984, VAAS has grown into a worldwide manufacturer of quality leading edge knife gate valves. The Wolseley/VAAS offering includes the MSS-SP 135 valve as well as the 755 HP which conforms to the L37 rev 13 Syncrude specification. VAAS has a complete offering for the mining industry with exclusive features which include rounded gates and packing chambers for the best sealing. A quick field four bolt change for automating, as well as a spring loaded seats to give better sealing ability. With an offering in UNI and BI Directional, Metal, Rubber and Urethane lined Knife Gate Valves. VAAS has one of the most diverse value proposition offerings in the industry. We at Wolseley Industrial look forward to our first in class relationship offering a value proposition to all of our customers.